The City of Newport News Office of Purchasing, a Division of the Department of Finance, continues to be nationally recognized for innovation, professionalism, productivity, e-procurement, and leadership in the procurement profession. The office has been a member of the National Institute of Governmental Purchasing (NIGP) since 1949, and is a charter member of the Virginia Association of Governmental Purchasing. Three times (1999, 2003, 2007), the office has been awarded the National Purchasing Institute's (NPI) Achievement of Excellence in Procurement award. This prestigious award is presented to those organizations that demonstrate to an independent committee a level of excellence by obtaining a high rating based on standardized criteria. For the 2nd time, the office has been awarded the Outstanding Agency Accreditation Achievement Award (OA4). This award recognizes those agencies that lead the public procurement profession. Accreditation certification is valid for 3 years. All of the senior staff have achieved and hold current professional certifications. 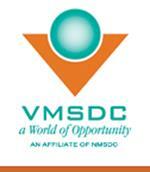 We are members of the Virginia Minority Supplier Development Council, promote partnerships with the Department of Minority Business Enterprise, and provide opportunities for all to bid through utilization of e-gov platforms including our own website, eVA - the state's procurement site, as well as NNTV and other 3rd-party organizations. Whatever it takes, we get it done. All of the senior level buying staff are recognized by the Universal Public Procurement Certification Council (UPPCC) for achieving high standards of proficiency in public procurement as demonstrated by substantial professional experience, procurement related coursework, and superior examination performance. The Office of Purchasing is responsible for the purchase of all materials, supplies, services, construction, and equipment for all city departments and agencies, and is responsible for the centralized control and disposal of excess, obsolete, and salvageable materials and equipment. The office also oversees operation of the City's Central Mail Service, the Central Warehouse, and the Print Shop. Through our minority program, we seek to facilitate the establishment, preservation, and strengthening of small businesses and businesses owned by women and minorities and to encourage their participation in the City's procurement activities.